The oversized LEGO Medium Stone Grey Storage Brick 8 is designed to stack, just like the original LEGO bricks. 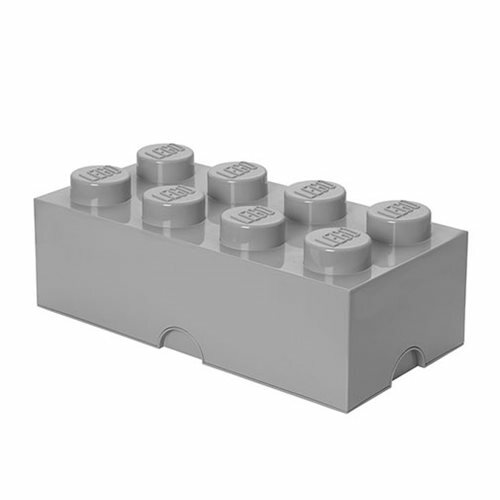 The LEGO Medium Stone Grey Storage Brick 8 measures about 19 3/4-inches long x 9 4/5-inches wide x 7-inches tall. Decorate, play, build, form and have fun with the boxes, or keep your toys sorted by using them for storage. Please note: LEGO bricks not included.